I am no scholar, academic or even an avid researcher of all things politics. 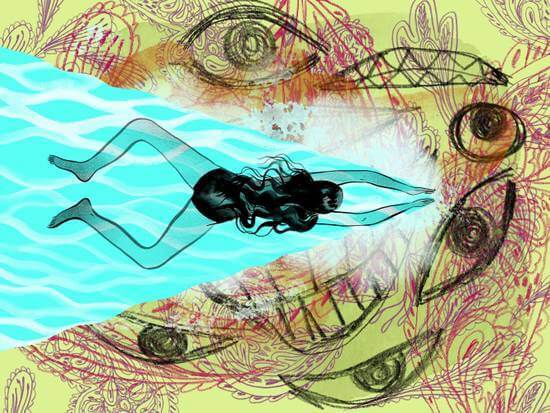 I am a 31-year-old, mother of 3 children who are born into a world where war is raging. I am also co-founder and former Chairperson of the Islamic Museum of Australia. Life for my children is different though. They are growing up in a society that is filled with questions, propaganda and fear-inciting news articles regarding their faith, Islam. In early 2010, my young son asked me questions about Islam and about being a Muslim, and while I tried to answer him in the best way I knew how, it struck me that there was nowhere to take my son to show him what Islam was. The front of the Islamic Museum of Australia. Image: Misheye. A teacher by background, I was unsatisfied with asking Google for help, and I wanted something tangible. I knew kids responded well with “Science Works” and museums that fostered interactive learning. 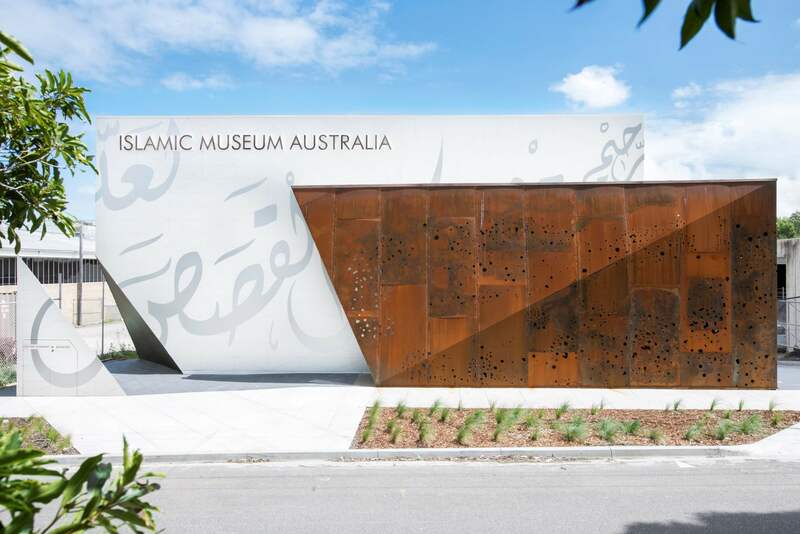 At the same time, my husband and some friends were contemplating creating a Museum that would showcase the beauty of Islam and one night over coffee, the idea of the Islamic Museum of Australia (IMA) was born. So let me tell you a numbers story. This is what our footprint looked like while dedicating time to creating the Islamic Museum of Australia. 10 friends who shared the same goal. 42, 336 hours spent on making this idea come to life. 1 old, worn out warehouse. 117 weeks to design this building. Over 100 volunteers from landscapers to tilers, family to friends, Uni students to even Bunnings workers. When I dreamed of a museum, I envisaged a museum as a centre of learning, much more than a repository of beautiful artifacts. I was certain of the following: The IMA will surely help generations of our youth to learn about the beauty of Islam. The IMA will be a hub for budding artists to exhibit their pieces. The IMA will be a creative and permanent place for cross-cultural dialogue. The IMA will be a landmark in Melbourne – dare I say Australia – for it’s aesthetic design and most important, its fascinating information. I believe we must stimulate our children to want to learn about the Australian Muslim connection. I wish for the next generation to have a sense of pride for the strong connection between their faith and the country in which they were born. The 2 are not separate wishes but, in fact, an intertwined relationship. The interior of the Islamic Museum of Australia. Image: IMA. For now, though, let me go back to this ‘exchange’ of cultures. There are many aspects of the Museum’s collection that would be fascinating for non-Muslim audiences, and I believe that by being able to showcase the beauty of Islam, we shall be able to cross barriers, break stereotypes and as corny as it sounds, de-mystify Islam. 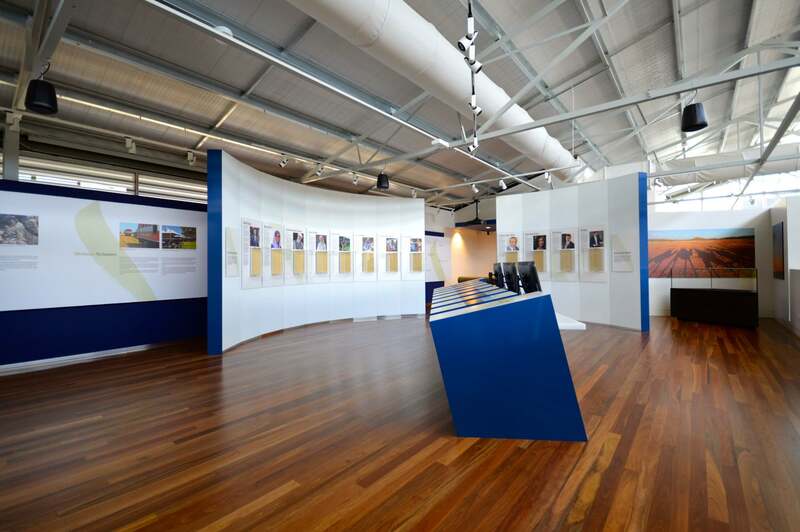 Research began and we consulted professionals and historians to recount the Australian Muslim connection, because we wanted this to be a main gallery of the Museum (there are four others). As we began the journey of creating the museum one thing became very clear: no matter where you are in Australia, peoples of all faiths, cultures and nationalities have contributed to this great Continent and continue to do today in the 21st century. Even I was pleasantly surprised that the Australian Muslim connection dates back well before white settlement, so I knew the IMA could become an educational tool for schools. We collected information and formed a timeline of the contributions various European, African, Asian and Arab Muslim migrators and hung it up with pride. Photographs taken from real sites further highlight the information: an old corrugated tin shack in Bourke cemetery NSW (served as a prayer room in the 1800s), Indigenous Rock Art records history of how Makassans arrived on Australian shores in the 1700s and much more. Subsequently, it was a very satisfying moment when my son and I entered the newly opened doors of the Islamic Museum of Australia in March 2014, and I felt we had come full circle. “Knowledge is power, darling,” I whispered as I watched him walk through the museum of which he inspired me to dream. For more details about the Islamic Museum of Australia please vis it their website. Maysaa was born in Lebanon, but when she was four her parents picked up their five kids and moved to Melbourne, where she lived for 24 years. In 2012, with three kids in tow, her little family moved to Dubai, and the magical, crazy, unique and sandy adventure began. Her time in Dubai had far too much detail to explain in a tweet, so she began www.365daysindubai.com for family and friends to keep up with her journey. When she’s not blogging, she’s baking (and eating!) while dreaming of her next travel destination (she’s ticked 30 off her list so far). Maysaa completed a bachelor of education and taught for four years before she became a full-time stay-at-home mum. She was also chairperson of the Islamic Museum of Australia.